For new construction or renovation work, a fireplace that requires no foundation or footings. 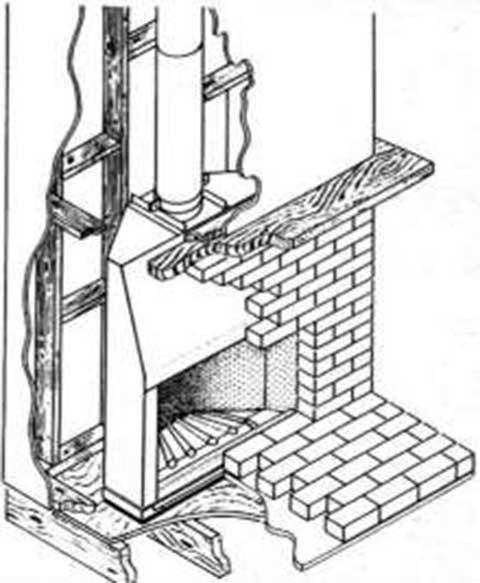 Ideal where it would be difficult to install a conventional masonry fireplace. The Bellfire® Refractory Firebox, Hearth, side flares, and smoke chamber are enclosed in a heavy 20 gauge steel outer shell, ideal for installation in seismic areas. A fireplace design that utilizes proprietary thermal insulation technology and meticulous metal fabrication found nowhere else. This unit can be placed on a wood floor and positioned within 2" to combustible rear and side walls. The Rumford styled smoke chamber vents into Class "A" insulated flue. Super radiant heat output and thorough combustion provide ample warmth and fuel efficiency that sets new standards for the open hearth. Our two close clearance fireplaces are available in widths of 26"-34" and 25"-33" high. The repair unit with the addition of a Sleepy Hollow custom design, type 310, 18 gauge refractory stainless steel smoke chambered with integral damper/baffle. Connect the smoke chamber to our insulated round or oval 6, 7, or the 8" diameter Super-Flex flexible stainless steel flue liner. Today many fireplaces do not yield satisfactory results. Many are old or in disrepair. Many do not meet codes of safety clearance to combustibles. 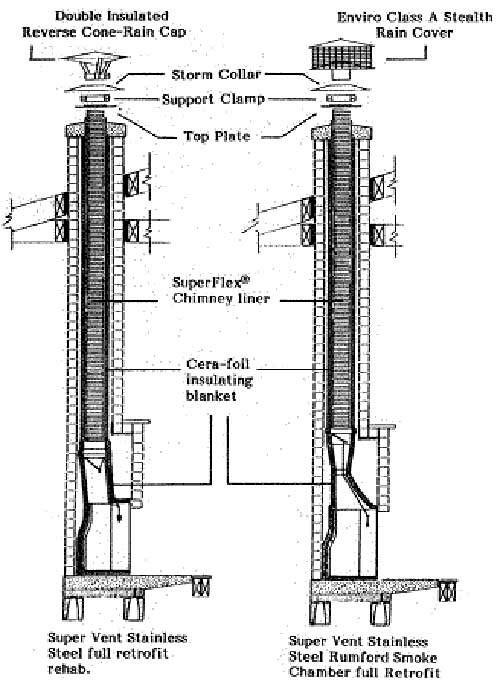 Oversized or undersized flues and outside exterior wall construction equal cold and or smokey performance. Many metal heat circulation models are rusted out and dangerous. The flue insulated Super Vent retrofit system corrects these flaws, transforming your fireplace into a restored super safe high heat fireplace, again without altering the fireplace facing.